City of Nauvoo established. Lucy’s severe illness. Death of a number of the Smith family, including Samuel’s wife, Mary; Don Carlos; Hyrum’s brother-in-law Robert Thompson; Joseph’s toddler son, Don Carlos; Hyrum’s son Hyrum; and Don Carlos’s daughter Sophronia. Joseph the Prophet put on trial in Monmouth, Illinois. Assassination attempt on ex-Governor Lilburn Boggs of Missouri. Joseph and Orrin Porter Rockwell are accused. To avoid false arrest, Joseph goes into hiding. Joseph is tried and acquitted in Springfield. Joseph is arrested in Dixon, Illinois. He is tried in Nauvoo, Hyrum gives sworn testimony, and Joseph is acquitted. In the early part of the same winter, I made Brother Knowlton a visit on Bear Creek. When I arrived there it was dark and I was very cold, and in getting out of the wagon, I stepped upon some round substance which, rolling under my foot, brought me round so suddenly, that in trying to save myself from falling, I injured my right knee. The cold settled in the injured part and the rheumatism set in. I suffered considerable while there, but I only remained about one week. After I returned home, my sickness increased. This, with other sickness produced by the same cause, kept me very low all winter, and for six weeks I had watchers every night. Sophronia and Lucy took care of me and faithfully did they watch over me. Never was a disconsolate widow more blessed in her children than I was in them. By their faithful care I was enabled, after a long season of helplessness, to stand upon my feet again. The same winter, on the twenty-fifth of January, 1841, Mary Smith, Samuel’s wife, was taken suddenly away to meet my husband where parting shall be no more. [ii] She had never been well since she was driven with her infant by the Missouri mob into Far West, and that was the cause of her death. On the fifth of June the same year, Joseph went, in company with several others, on a visit to Quincy. As he was returning, Governor Carlin sent one of the Missouri writs after him and had him arrested for murder, treason, etc., etc. 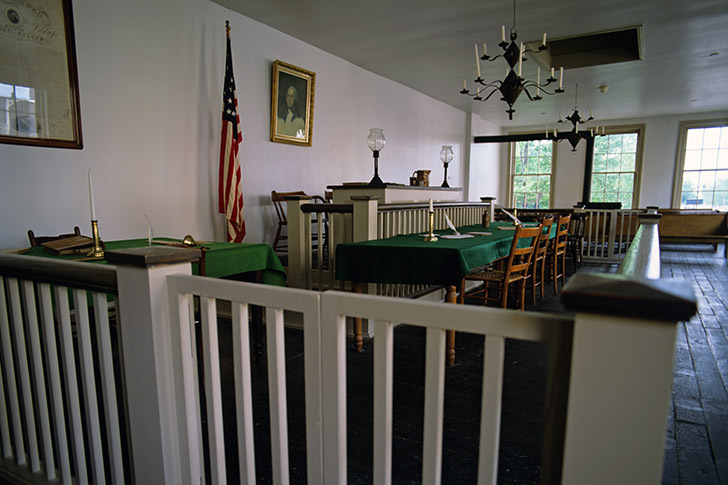 Joseph, choosing to be tried at Monmouth,[iii] Warren County, returned the next day with the officers to Nauvoo and, after procuring witnesses, proceeded to Monmouth. Esquire Browning spoke in Joseph’s defense, and was moved upon by the spirit that was given him, in answer to the prayers of the Saints; and, of course, he gained the case. The opposing attorney tried his utmost to convict Joseph of the crimes mentioned in the writ, but before he had spoken many minutes, he turned sick and vomited at the feet of the judge; which, joined to the circumstance of his advocating the case of the Missourians, who are called pukes by their countrymen, obtained for him the same appellation, and was a source of much amusement to the court. The Church was much rejoiced when Joseph returned, and many besought him never again to leave the city. On the first day of September, Robert B. Thompson,[v] who was Hyrum’s brother-in-law and associate editor with Don Carlos of the Times and Seasons, died of the same disease which carried Carlos out of the world-supposed to be quick consumption. The succeeding winter we were left to mourn over the ravages which death had made in our family, without interruption; but sickness ceased from among us, and the mob retired to their homes. Joseph was no longer safe on the streets of Nauvoo after the false accusations of the attempted assassination of Boggs. On the sixth of May, 1842, some assassin attempted to shoot Lilburn W. Boggs, ex-governor of Missouri, and in a trice[viii] the cry went forth that “Joe Smith” had shot Governor Boggs. But, as Joseph was on that day at an officer’s drill in Nauvoo, several hundred miles from where Boggs resided, and was seen by hundreds, and, on the day following, at a public training, where thousands of witnesses beheld him, we supposed that the crime being charged upon him was such an outrage upon common sense that when his persecutors became apprised of these facts, they would cease to accuse him. But in this we were disappointed, for when they found it impossible to sustain the charge in this shape, they preferred it in another, in order to make it more probable. They now accused my son of sending O. P. Rockwell into Missouri with orders to shoot the ex-governor, and from this time they pursued both Joseph and Porter with all diligence, till they succeeded in getting the latter into jail in Missouri. Joseph, not choosing to fall into their hands, fled from the city and secreted himself sometimes in one place, sometimes in another. He generally kept some friends with him, in whom he had confidence, who came frequently to the city. Thus communication was kept up between Joseph, his family, and the Church. At this time Brother John Taylor lay very sick of the fever and was so reduced that he was not able to stand upon his feet. Joseph visited him and, after telling him that he wished to start that night on a journey of fifty miles, requested Brother Taylor to accompany him, saying if he would do so he would be able to ride the whole way. Brother Taylor believing this, they set out together and performed the journey with ease. This time Joseph remained away two weeks, then made his family and myself a short visit, after which he again left us. In this way he lived, hiding first in one place and then in another,[x] until the sitting of the legislature when Governor Ford wrote Joseph a letter advising him to come to Springfield, with a guard sufficient to secure himself against molestation, and suffer himself to be tried for the crimes alleged against him, namely, that of being accessory to the attempted assassination of ex-Governor Boggs. Joseph went and was tried before Judge Pope and honorably acquitted. When he returned home, there was a jubilee held throughout the city. The remainder of the winter, and the next spring, we spent in peace. Joseph and Emma moved into the Mansion House in August 1843. Joseph lived here ten months. Not long after this I broke up housekeeping, and at Joseph’s request, I took up my residence at his house. Soon after which I was taken very sick and was brought nigh unto death. For five nights Emma never left me, but stood at my bedside all the night long, at the end of which time she was overcome with fatigue and taken sick herself. Joseph then took her place and watched with me the five succeeding nights, as faithfully as Emma had done. About this time I began to recover, and, in the course of a few weeks, I was able to walk about the house a little and sit up during the day. I have hardly been able to go on foot further than across the street since. [ii] Mary Bailey Smith died on Monday, January 25, 1841, at the age of thirty-two. [iii] Monmouth, Illinois, is sixty-five miles northeast of Nauvoo. [v] It will be remembered that Robert B. Thompson was married to Mercy Fielding, who was the sister of Mary Fielding, wife of Hyrum Smith. Robert Thompson’s actual date of death was August 27, 1841 (see Cook, Revelations, p. 278). 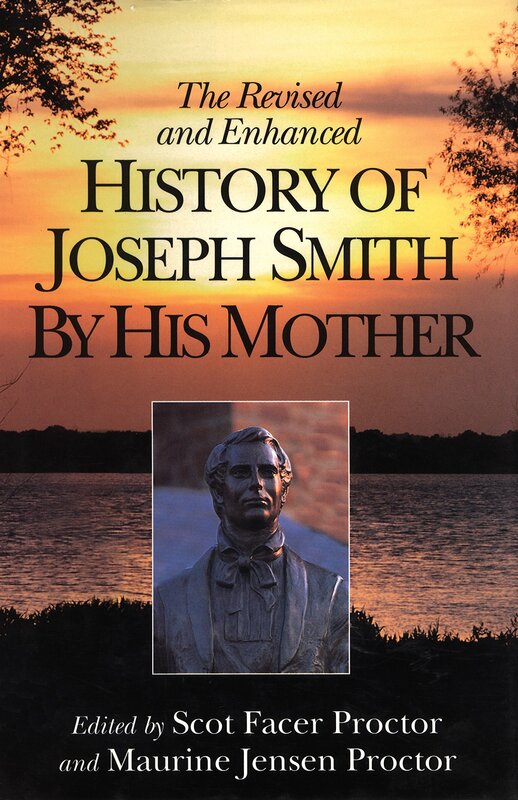 [vii] Hyrum Smith, son of Hyrum and Jerusha Barden Smith, was born on April 27, 1834, and passed away on Saturday, September 25, 1841, aged seven years, four months, and twenty-eight days (see History of the Church 4:418). [ix] This courtroom is located across the street from the old Illinois state capitol building in Springfield, Illinois. The trapdoor that can be seen above the courtroom bench led to an office on the next floor, where two young attorneys had their practice. One of them would later become the president of the United States–Abraham Lincoln. [xi] She was living in Dixon, Illinois, about 165 miles northeast of Nauvoo. [xii] As noted, Hyrum’s testimony was given in Nauvoo on June 30, 1843. [xiii] Sophronia was five years old at the time of her death.